Get a head start in the challenging and complex music & arts administration industry. The B.A. in music with music management concentration includes required courses and electives that qualify as prerequisites for the MBA curriculum. With the accelerated degree program and the proper scheduling of MBA classes, you may enter immediately into the MBA program full time with the possibility of completing it within one year. In the program, you’ll enroll in more business electives and specified mathematics courses. You’ll build strong business management skills to complement your knowledge of operations and best practices in the music industry. These enhanced business skills will help you to grow into executive-level positions with higher salaries. In the program, you may waive up to four MBA core courses (provided you earn a B or better in two undergraduate courses of the same subject, and one or both are at the intermediate level). After the four course waivers, you can complete 32 credits in one year with proper planning. You can also choose to pursue your MBA part-time over a longer period. You will earn an MBA degree after you complete all requirements with a grade point average of at least 3.0. If you wish to enroll in the MBA program, you should take the Graduate Management Admission Test (GMAT) in your junior year. You may apply for provisional admission to the MBA program in the spring of your junior year, after which the Office of Graduate Studies may admit you on a provisional basis. Admission is based on the results of the GMAT, GPA, work experience, letters of recommendation, extracurricular activities, maturity and a personal interview. Admitted B.A. in music students must have completed a music management internship (3 credits) of relevant and substantive experience in an arts organization during the undergraduate program. Music students who have been granted provisional admission to the MBA program may begin taking graduate business courses in their senior year if they have the written permission of the chair of the music department. Students who have taken at least four graduate-level courses in their senior year and waived at least one graduate-level course based on their undergraduate coursework may complete the MBA within one year. Provisional status is removed once the bachelor’s degree is earned. Upon earning the bachelor’s degree, those accepted into the MBA program may also be considered for graduate assistantships, the Corporate Associates program and graduate fellowships. 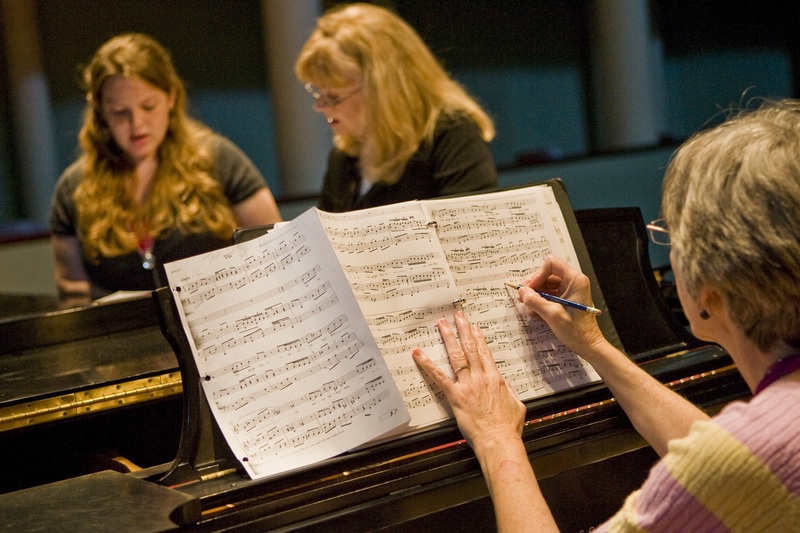 During your first four years in the music program, you will pay undergraduate tuition and fees. During your fifth year of study (or any required additional time), MBA graduate tuition and fees will be applicable. For more information, contact Shari Feldman, administrator for undergraduate recruitment and advisement, 302-831-8426, sharieve@udel.edu or the Graduate & MBA Programs Office, 302-831-2221.